Fashion Week is all about having fun, being bold, and most importantly, standing out! While the NYFW SS19 collections included a variety of fun textures and materials, there was one particular designer who made her pieces stand out with her choice of models. 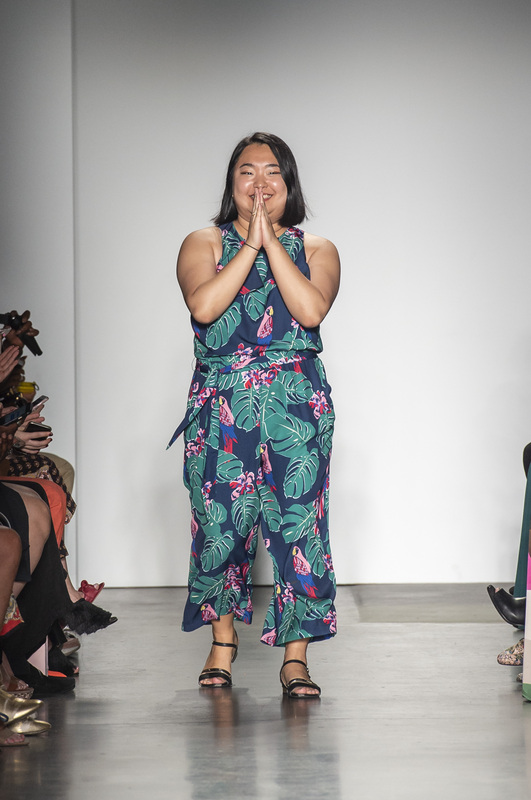 It was Doyeon Yoni Yu‘s collection that not only used women of different color and sizes, but her designs were specifically thought out to celebrate fat! It was refreshing to see a designer step out of the fat-phobia world and conquer it with fun whimsical pastel colors. Her collection called Fatopia: The Celebration of Flesh highlighted the curves of the body with her unique and bubbly designs. Her pieces also played with shapes and textures including transparent accents to emphasize specific parts of the body. She made a clear statement that fat is beautiful. Below are a few favorites from her collection. Fashion is for everyone, no matter what color, size, height, or weight. Jessica Lee is a third generation Korean-Canadian currently working and living in Ann Arbor, Michigan. She graduated from Michigan State University in 2013 with a BA in Education and had a career shift that led her into the automotive industry where she is now a project manager at General Motors. In her spare time, Jessica enjoys blogging, plating (and eating) charcuterie, watching crime dramas, and hitting the snooze button.